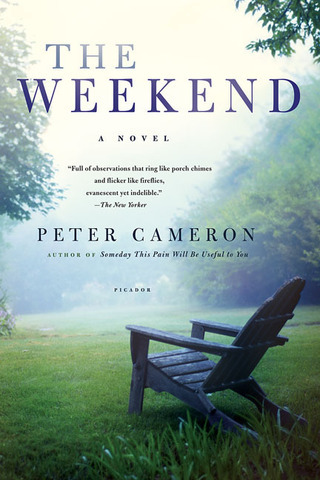 On a midsummer weekend, in a country house in upstate New York, three friends gather on the anniversary of the death of man who was related to them all by blood or love. Their idyll is disturbed by the presence of two outsiders: a faux-Italian dinner guest and a young gay man who is now involved with the dead man's lover. And so a swim in a river, a dinner al fresco, and a walk in the woods by night all become charged with the tension of trying to recapture something lost. An exquisitely crafted novel about the fiction of romance and the dangers we invite when crossing new thresholds, THE WEEKEND is a work of quiet beauty and tender lyricism. John Glusman edited this book for Farrar, Straus & Giroux. 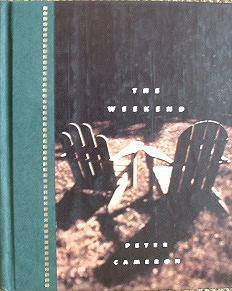 This book was published in hardcover (boards with no jacket) by Farrar, Straus and Giroux in 1994 and the following year in paperback by Plume. After being out of print for several years, it was reissued in paperback by Picador in the spring of 2009.